Gosha Rubchinskiy is not a new fashion brand, however, it is rapidly gaining its popularity amongst young Russian people and not only. Its unique style is attributed to the clear reference to the post-Soviet 90s fashion and its rave culture. By challenging the stereotype of the typical modelling look in Russia, the brand strives to create a new wave of young people in the fashion and modelling industry. In 2008, Gosha Rubchinskiy, a Russian fashion designer, created his eponymous brand. When presenting his collections, Rubchinskiy is not afraid to use bold gestures and different approaches. For example, his second collection, Growing and Expanding was presented in a disused Orthodox church that was turned into a gym just for the show. The sunrise is not far behind the mountains, his third collection was presented in three parts: a video, a book of photographs and the collection itself. Rubchinskiy’s unique approach to fashion allowed it to stand out from the rest of the brands and become well-known in the Western world too. The brand takes inspiration from street style in Russia after the collapse of the Soviet Union, which was a significant event for all of the Russians at the time. It resulted in an increase of American and European fashion goods in the Russian market because their import was prohibited by the government during the active years of the Soviet Union. This can be noticed in the introduction of new garments into the outfits of Russian youth, such as jeans, Adidas athletic wear, trainers, leggings and miniskirts. New subcultures gained popularity, such as the rave culture and the skater culture, linking closely to the change in fashion and the new freedom acquired by the Russian people, which allowed them to do whatever they wanted and dress however they wanted. 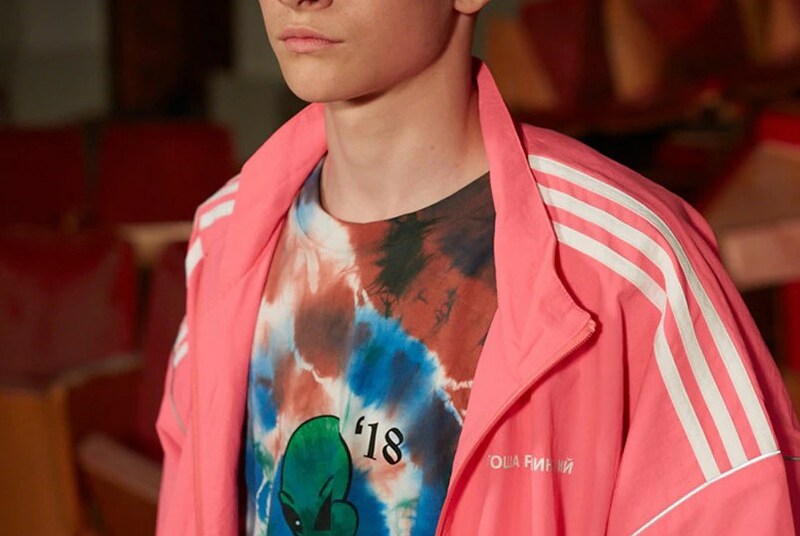 Rubchinskiy’s distinctive style creates a unique aesthetic for the Gosha Rubchinskiy brand, bringing 90s rave nostalgia back into fashion. Rubchinskiy’s objective is to catch the moment and he does this by incorporating as many young people as he can in his brand: models, designers, photographer and others. He believes that the constantly changing state of Russian culture and politics reflects the most on young people. When preparing for his SS 2017 show, an open casting call was put out on Instagram, allowing any young person, fitting the Gosha Rubchinskiy aesthetic, to become a face for the brand’s new collection. In cooperation with Lumpen, a modelling agency in Russia, Rubchinskiy challenges the typical male modelling look in Russia. By casting young people who do not necessarily have perfect bodies and a handsome, manly face, Rubchinskiy and Lumpen bring out different and unique faces into the spotlight. While it can be hard to spot a person outside on the street wearing an item from the brand, there is no doubt that Gosha Rubchinskiy’s Post-Soviet aesthetic greatly influenced designers from different parts of the world. Not only did it push major chain stores like Urban Outfitters or Topman to design items that match the athletic and bold style of the brand, but also encouraged new Russian and Ukrainian designers to emerge with their ideas and create their own brands. 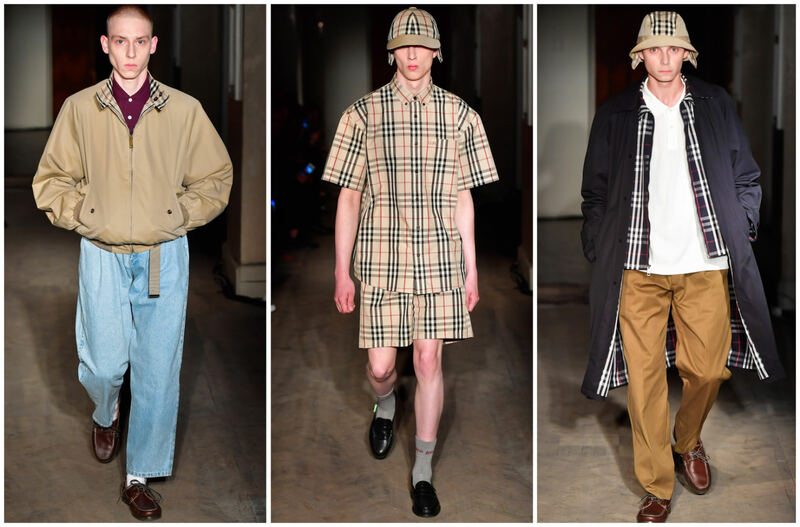 Gosha Rubchinskiy put a streetwear spin on the luxury brand Burberry during their collaboration, SS 2018. 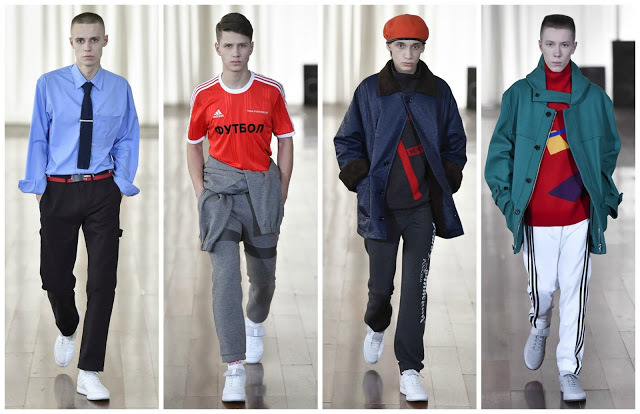 Gosha Rubchinskiy’s success can be highlighted by its popularity in the Western world, as well as the current fashion trends young people from all over the world follow: the athletic look or the 80s-90s nostalgic style. The brand can be considered a revolutionary in Russia’s fashion industry. Not only does it help incorporate new young people into the fashion and modelling industry, but also encourage and help beginning brands to pursue their ideas of fashion.